The Traxxas Blast™ is engineered to be fast, reliable, and easy to drive. The installed water cooling system for the motor helps keeps the Blast cool for longer run times and all day fun. With the waterproof, fully proportional Nautica™ electronic speed control, Nautica Electronic Speed Control (#3010X) waterproof high-torque servo, and the patented watertight receiver box, the lakeside fun doesn't end early because of wet radio gear. 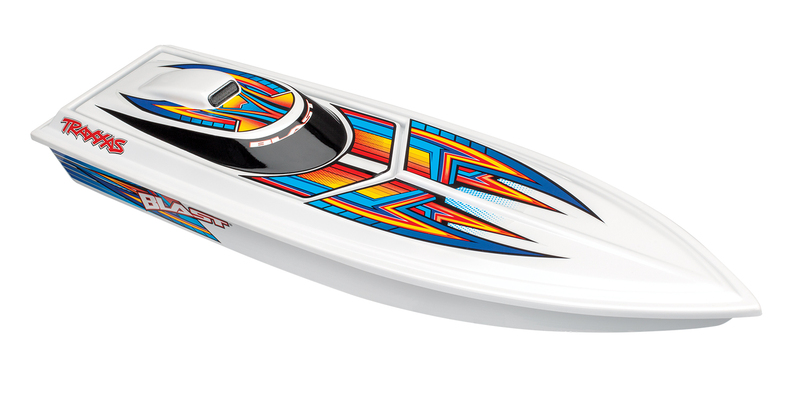 The Blast is always ready to make waves with its stable 24-inch deep-V hull, a stylish hatch, fresh new graphics and powerful water-cooled Stinger® 20-turn modified motor. The steerable outdrive with adjustable trim deliver precise control and high-performance tuning options. 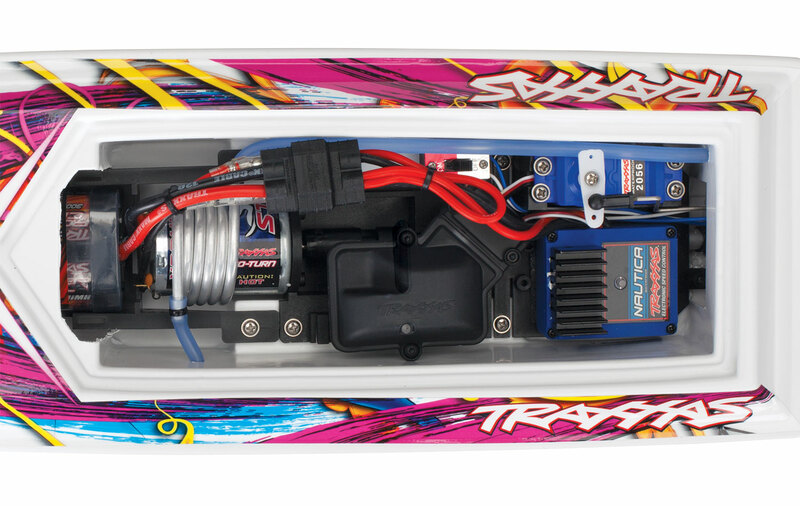 Blast delivers Traxxas speed, fun, and quality with a feature list you might not expect from such an affordable boat. The price makes it easy to double the fun by purchasing two for realistic off-shore racing action. Hull Type: High Performance Modified "V"